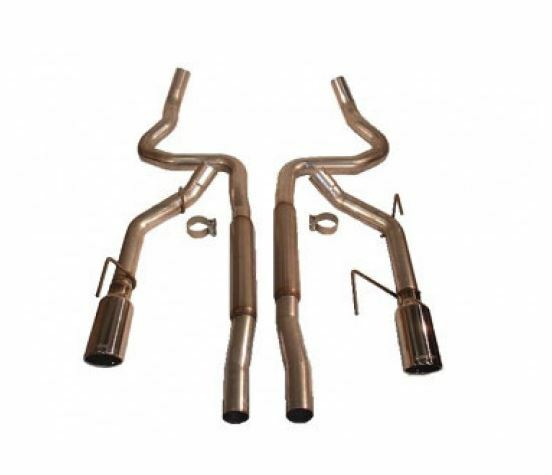 Let everyone know you and your Mustang are in the vicinity with this Extreme Performance Exhaust Kit from Roush. This kit will give your Mustang increased horsepower and torque. 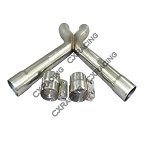 The kit is made from high quality 2.5 inch diameter stainless steel tubing and has 4 inch diameter tips made from polished 304 stainless steel. This gives it the added power, aggressive tone, and increased fuel economy your car needs. The exhaust clamps that are included provide a leak proof seal and won't ruin the pipes when they're tightened.